About the Author | The Follow Me Foundation, Inc.
Can you imagine living your entire life in a position to expect miracles? 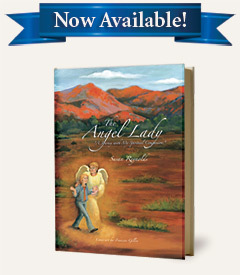 Susan Reynolds fondly known as “The Angel Lady” has experienced the miraculous daily first-hand. She has the unique ability to communicate directly with her Guardian Angel Milo – and it is a gift that she attributes receiving directly from God. Having been in denial about her gift for many years, Susan was faced with the pivotal moment when she had to say, “Yes” to helping heal those who are hurt, those who feel alone, and those who don’t know God for themselves. She chronicles these events in The Angel Lady: A Journey with My Spiritual Companions (AuthorHouse). After a successful career in advertising sales Susan opened Calling All Angels, a shop down an unsuspecting road alongside McMichaels Creek in The Poconos that carried everything relating to Angels and other religious artifacts. It was during this business venture that Susan became well-known in the Pocono community as the Angel Lady through weekly Angel Talks and by helping many through the aftermath of 9/11. It was through the Angel Talks that Susan’s first book was inspired. Through the years many have encouraged her to write about her experiences and finally with great trepidation The Angel Lady is a self-published venture. There are twenty-four contributors whom Susan calls her “Spiritual Companions” that each lends their miraculous story of their Angelic encounter with Susan. 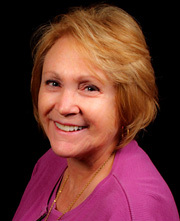 Having a heartbeat to feed the hungry, Susan co-founded a not-for-profit organization, the Follow Me Foundation which seeks to follow God’s command to share our blessings, gifts, and talents with the world as exemplified by Jesus Christ. The foundation ran a successful food pantry called “Food for Friends” feeding nearly 11,000 individuals. Susan was deeply humbled by this experience and met so many whom she was honored to serve, that after a pilgrimage to Italy she felt led to establish a place to retreat called, “The Heart of Holiness”. The retreat center will be for those to come who are hurting and in need of spiritual direction. It will have an organic farm on the property and a bakery to feed the hungry and to sell to the community it will serve. To this day Susan holds Angel Talks in group sessions whereby the Spirit of God is allowed to be expressed freely and shared with others. This is also an opportunity to talk with others about the miracles and happenings that they have experienced along with a short meditation to open the heart. Copyright © 2012 The Follow Me Foundation, Inc. All rights reserved.